The use of template designs in website creation can be an important way to speed up the process while maintaining a quality website design. This can be accomplished at a fraction of the cost of ‘reinventing the wheel’ of site design. One of the myths of site design is that it needs to be 100% unique. The truth is a template can generally be customized in such a way as to be perceived as something altogether new. Site design can borrow from the successes of today’s site creation techniques and make them available in a way that can accelerate your ability to have a fully functional website at a fraction of the cost and in a fraction of the time it takes to develop a site from the ground up. There are many relevant software applications that can assist in the proper development of your site design and function. It may seem daunting to attempt to learning coding techniques involved in developing a shopping cart, but this application can be essentially ‘plugged in’ to an existing ecommerce template design. The basics of web design don’t have to be hampered by a lack of interest in learning html and other computer codes. Some very successful online businesses are the product of the canny use of existing template technology to customize something in a short period of time that matches their primary site objectives. 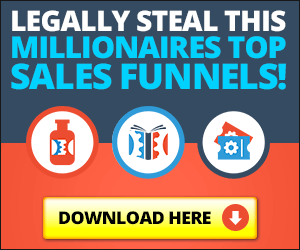 It’s possible to use this strategy to develop the first phase of your online business while you work on learning other skills that may prove useful to a second site construction phase. Many of your online customers will not even care how you developed the site as long as it is streamlined and provides the products they are searching for. Too often online businesses become overly consumed with developing something entirely new that they miss out on certain details that can be addressed and corrected in a template design. Many netrepreneurs believe their approach to web design must be one way or the other. The use of an ecommerce template can provide you with the opportunity of envisioning where you want to take your online store. It also gives you the time you need to develop the core essentials of the site design as well as determining the products or services you will offer online customers. If website design is the sticking point in your foray into ecommerce it may be in your best interest to check your ‘templature’ and make a bold move forward.